« How are new generation physicians adapting to healthcare industry changes? 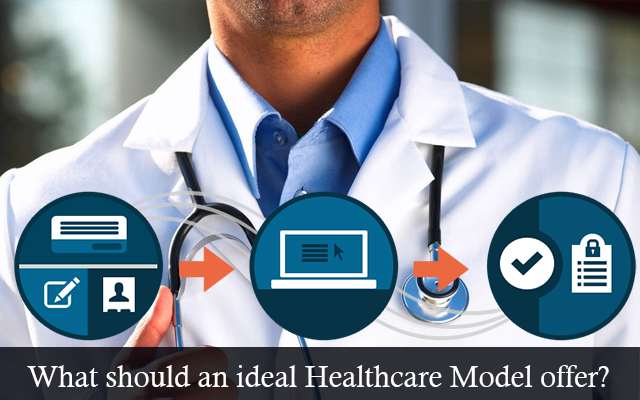 What should an ideal Healthcare Model offer? In its current state, the healthcare industry can be best described as a combination of valuable care, overuse of some costly interventions with little proven benefit, and underuse of some vitally important therapies. The care provided in a broad sense is fragmented and has a lot of scope for being better coordinated. An ideal healthcare setting should be removed from the extremes of either a single-payer system or an unfettered marketplace – with the former having failed already and the latter highly unlikely to go the long distance. Unless strongly regulated, the private insurers are bound to have an inclination towards shedding the enrollees which cost them dear in order to avoid making a dent on their profitability. Without social insurance of some shape the interests of patients are not likely to be protected by private insurance companies for the obvious reasons that they are business entities first. Besides the point mentioned above an optimal insurance structure also needs to be a deviant from a typical high-deductible plan. It has to be one which subsidizes high-value care while imposing a greater cost sharing on care of lower value. The later step would ensure that patients do not indulge in availing treatment which is not necessary or ones with limited benefits. Infact, providing people with the flexibility to decide from a host of variants seems be the best way to cater to their actual needs. Moving forward, health reforms will have a need to focus on increasing the value that people can draw from health insurance and health care, instead of depending upon self-financing expansions of coverage. Thus, the concept of pay for performance is gaining steam as an emerging movement in health insurance. In this arrangement, Providers are rewarded for meeting pre-established targets for delivery of healthcare services. Hence physicians, hospitals, medical groups, and other healthcare providers are all required to meet certain performance measures for quality and efficiency. Disincentives, such as eliminating payments for negative consequences of care, which could be medical errors, or increased costs also get included as part of the deal. A research done recently on profitability of hospitals in US came up with some very interesting data. Incidentally, the hospitals with high performance scores in patient care seemed to be the most profitable. This can serve as a very encouraging factor for providers who are skeptic about the new model. Effectively, the survey was a proof of the fact if patient experience (which has a direct link to the quality & and efficiency of care provided) is positive; there is a high possibility of financial profitability for the corresponding institutions. Thus the core of the model has to lay emphasis on providing the best of care to patients. In addition to it, there has to be strong focus on scoring high on publicly reported clinical measures. With these 2 factors taken care of, financial success becomes an automatic spin-off. Agreeing to the fact that a value-based model shows a lot of promise and is worth investing in is one thing. But to assume that such a model would automatically ensure a higher quality of healthcare delivery would not be appropriate. Overall any new model to succeed, a couple of deliverables need to be ensured – extension of insurance protections to those who lack them and a constant improvement in the manner in which care is offered to those who are already insured. Thus, in order to successfully implement this new idea some major changes to certain otherwise archaic approaches and methods need to be made. For e.g. insurance coverage needs to be extended so as to allow more people to benefit from the protections that insurance affords and ensure that those protections are secure for those who fall ill. And, last but not the least, there is a need for people at the core of the establishments i.e. Physicians, nurses, hospitalists to bring in a few changes in the manner in which they go about performing their activities. They will need to ask the patients, which they presently do not do adequately, about their expectations. To attempt to serve them without being aware of their expectations would be utterly futile otherwise. Once this is done, then there would be the subsequent task of identifying vendors who provide healthcare IT services and then subsequent stages would involve developing the healthcare apps which is truly ‘pro-user’. We provide healthcare mobile app development services. If you would like to talk to one of our expert healthcare software developers, please get in touch with us at Mindfire Solutions. This Post was posted in Health Care and tagged certified healthcare software testers, developers for healthcare application, Domain based software testing, healthcare application testing, HealthCare Domain testing, healthcare it services, healthcare mobile app development, healthcare software developers, Healthcare software development services, offshore healthcare software development. Bookmark the permalink.